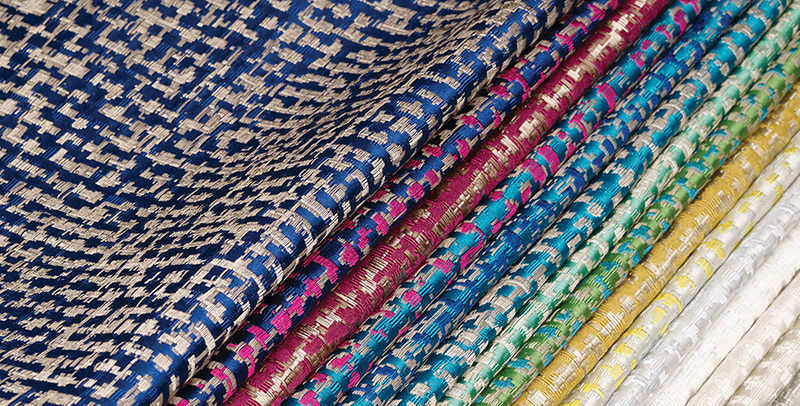 Matthew Williamson’s sleek semi-plain curtain fabric has the appearance of a silky couture tweed. It is named after the district of Havana which was the most glamorous and prestigious in pre-revolutionary Cuba. Colourways include cerise, antique lemon, fuchsia, electric blue and turquoise with neutral tones of silver, ivory, linen, pebble and stone. MIRAMAR is the perfect co-ordinate for many of Matthew’s patterned designs in the collections CUBANA, EDEN and SAMANA.